Make Hay, Rain or Shine! 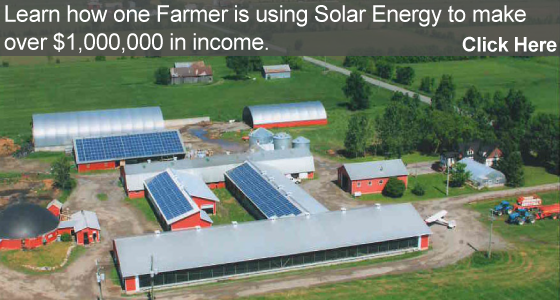 Ontario’s solar energy contracts let farmers harvest the sun and generate a source of steady income in addition to their traditional livelihood. JAZZ Solar Solutions works with farmers to plan for and obtain lucrative government solar contracts. JAZZ has already helped secure over $20 million in solar energy contracts for farmers across the province. The Ontario Power Authority offers 20-year, binding contracts at guaranteed rates to farmers operating solar energy systems. The energy your system generates is fed back into the electrical grid and you are paid handsomely for that energy on a monthly basis. The income generated and your payback are a function of the system you choose. Want to know more about solar energy systems? Click here for our Solar 101 Primer. To get an idea of system costs and returns click here. Trust JAZZ to get it Right! We’ve been solarizing residential properties for many years, and with hundreds of systems in service we know how to design, install and service your residential solar energy system so you get the best possible return on your investment. Our staff includes design and engineering experts along with NABCEP certified installers that will ensure that your project is completed on-time, on-budget, and to your expectations.